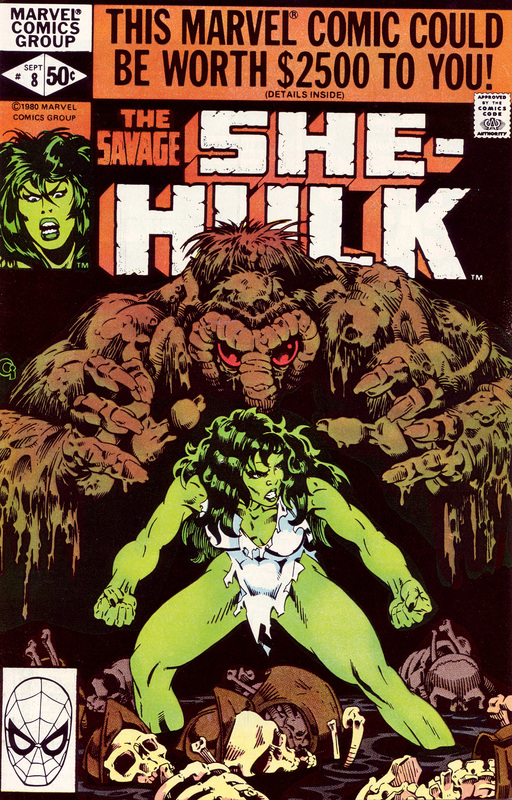 From 1980 we have at #72 the fantastic Michael Golden with She-Hulk and Man-Thing. I just love Man-Thing. « the Defenders -completing the collection! I like how strong She-Hulk looks there. And Man-Thing looks cool, too.